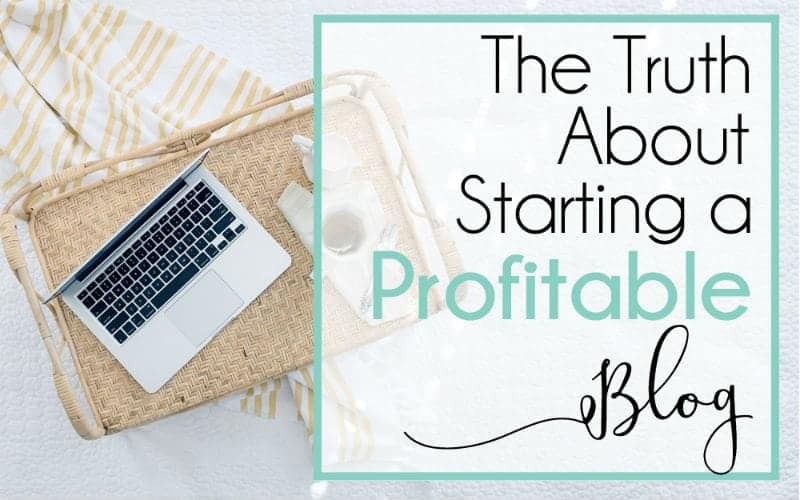 If you’re thinking about starting a blog for profit, there are some things that you should know going in. Bogging for profit is a ton of freaking work. I know there are people out there who claim to be making a fortune in ten hours per week, but let me assure you – I am not. I work at LEAST 40 hours per week and often far more. Like, she’s on a holiday, she’s swimming, for goodness sake… but I want you to notice that she’s still working. Starting a blog for profit is kind of like that; you have to be willing to work (almost) this hard, at least at first. It’s pretty easy to get wrapped up in the “How to start a profitable blog in 10 minutes and earn $5000 / month while you sleep!” articles that you see out there. But the thing is, those articles leave out some details – they do this on purpose, so that you go ahead and start your blog RIGHT NOW, without giving it any thought – so the writers can earn commission on hosting sales. Many bloggers earn so much money from hosting sales with their how to start a blog tutorial that they hardly even need to try making money anywhere else on their blog. You CAN make good money from blogging. I’m making GREAT money blogging, and anyone could do it! It’s just that there’s a little more to it than throwing up a website and watching the cash roll in. I want you to go into blogging for profit with your eyes open – ok? 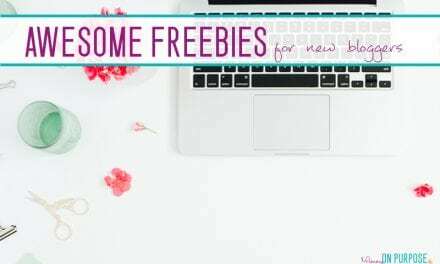 Heads up: Feb 26th 2019 one of my favorite blogging mentors will be releasing a FREE video training – BLOGGING MADE SIMPLE . This training will fill up fast, so grab a seat here! If we’re having an honest conversation here – and I think we should – starting a profitable blog takes work. Starting a profitable blog is… hard. No, setting a blog up isn’t hard. Not at all. Getting the technical part done and dusted is downright easy – even if you’re terrible at computers. It’s what comes next that’s hard. Learning. Staying motivated when traffic drops 50% in three days (or staying motivated when you have yet to see traffic growth at all). So how am I qualified to give my opinion as to whether or not blogging can be profitable? 6 years ago (ish) I followed one of those “how to start a profitable blog in 5 minutes” tutorials. 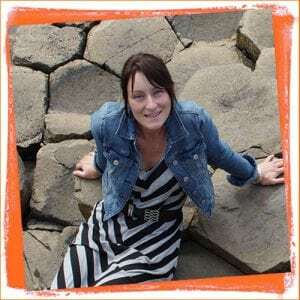 3 years ago I started again, a thoroughly researched, more determined blog. I bought courses and threw myself into them. I gave up showering, cleaning, watching TV, surfing Facebook and all aspects of social life, and dedicated every spare minute to learning how to blog. 4 months in I started promoting my (ready for readers) blog. 6 months in I achieved 150,000 page views in one month and qualified to apply to the “better” ad networks. By 8 months in I was making a full time income from home: read my October 2016 Blog Income Report here. By my one year blogging anniversary I could honestly say that blogging changed my entire life, and it is one of the best things I have ever done. Starting a profitable blog is that it is hard work. It is not a get rich quick thing, or a get rich easy thing. How does my blog make money? There are loads of ways for a blogger to monetize their site, and I personally have chosen 3 revenue streams to focus heavily on. I monetize with ads – so for every page that someone views, I earn passive income. I also monetize with affiliate links – sometimes I link to Amazon or to an ebook I liked, and if the reader clicks on that link and makes a purchase, I earn a commission. (I actually have an affiliate marketing course that teaches you how I do this). 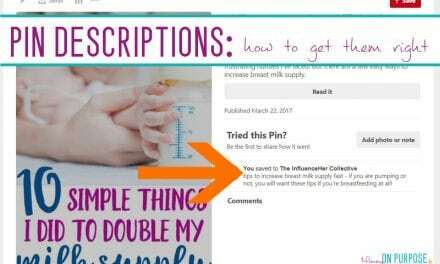 This doesn’t cost the reader anything more than it would cost them in the store! Lastly, I sell an ebook that I’ve written (it’s about how to get traffic to you blog with pinterest). Products that you create – ebooks, courses, printables etc… these are BIG earners for blogs. This year I’m working on sponsored content. This is sort of like advertising, but it’s a full post paid for by a brand. You can also set yourself up to sell services from your blog – but that’s harder because it will never be passive! Related: How do blogs make money? Can I blog about ANYTHING I want and make great money? EErrrrr – that’s a hard first question. It has a whole bunch of sides. CAN someone make money on ANYTHING online? Can YOU as a beginner, make money writing about ANYTHING? Not so much. I love this post about choosing a niche (the topic you blog about) that will actually make you money. Can I start a money making blog for free? It is very important for your blog to be self hosted, if you want to earn an income from it. Self hosted means you are paying to own your blog. And why do you wanna do that? Imagine your blog is your home on the internet. You can either buy and own your home outright (and therefore all it’s contents) or you can just sort of squat in a home for free, on the good graces of a friend, perhaps. If you own your home, you can decorate it the way you want, you can run your own business out of it, and you can choose to build an addition (or many) to it if you want. There is a massive network of homeowners out there, and people catering exclusively to home owners. If you stay in your friend’s home, they legally own the structure and they restrict the changes you can make in their home. Plus when there is a power outage, the power company won’t speak to you because honestly – they don’t care. You aren’t paying the bill. You need to own your own blog and specifically, it’s content. If you want to make a profit, you need to be able to run your business from your blog. And you absolutely need that 24 hour tech support available to you. If you have no interest in ever making a profit from your blog, you just want a hobby blog, or a newsletter blog for friends and family, and you don’t particularly care what it looks like, then a free platform is probably ok for you. If I spend a little to set up hosting … how much MORE is it going to cost me, before my blog becomes profitable? Honestly there isn’t a good one size fits all answer for this question. It depends on what you can afford and what you want for your blog. I don’t think that you have to spend a penny more than hosting for right now. I will tell you up front that within a month of starting my blog I had spent over 600 dollars and I chose to see it as an investment, one that I knew I might never get back. It was scary. I could have spent ten times that – but it would have been unnecessary. I will also tell you that my best (successful) blogging buddies have also spent AT LEAST that much within their first months. Investing in a blog education allowed me to bypass the years of trial and error that most bloggers experience on their way to success. There are literally millions of blogs in existence already. Is there really room for new blogs to make money? This was my number one big question. 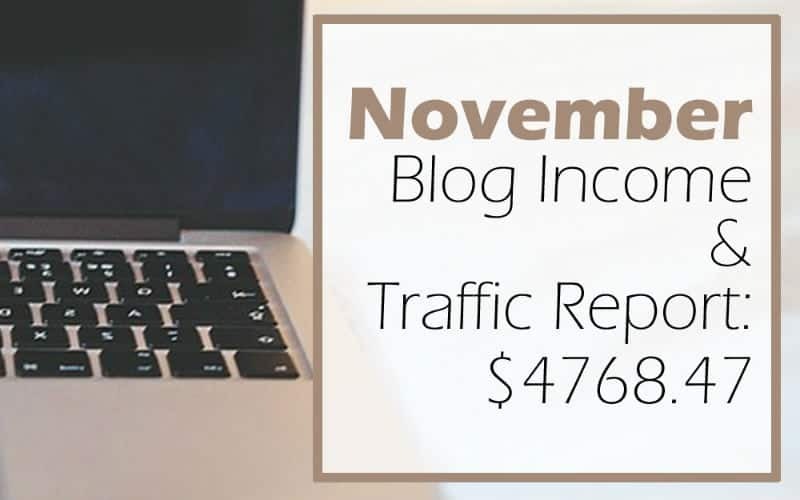 I am SO inspired by blog income reports and I love reading them. But they all made me wonder the same thing: did these bloggers get lucky and find a crack in the wall holding back the millions of blogs out there? Or did they have a strategy and work their way to the top? If there are already millions of blogs, will there be any ROOM left at the top? 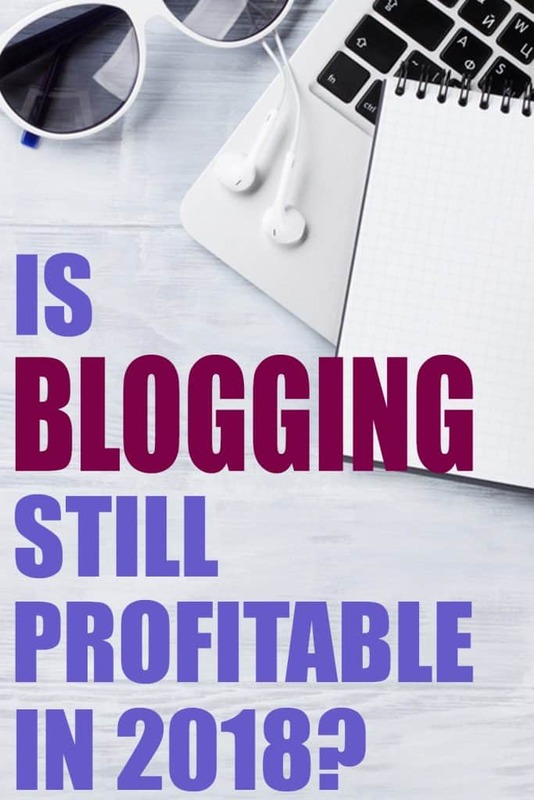 I actually think that the recent success of more bloggers paves the way for new bloggers – we’re joining a growing industry at the perfect time. More and more brands see the benefits of working with bloggers, more affiliate programs are being offered, more consumers are turning to bloggers as a the source of their information. Ad networks are getting more competitive. So, in that case, why are there so many blogs that aren’t making money? 1 – Bloggers view their blog as hobby and therefore they won’t invest in it. I hate cliches, but it takes money to make money. 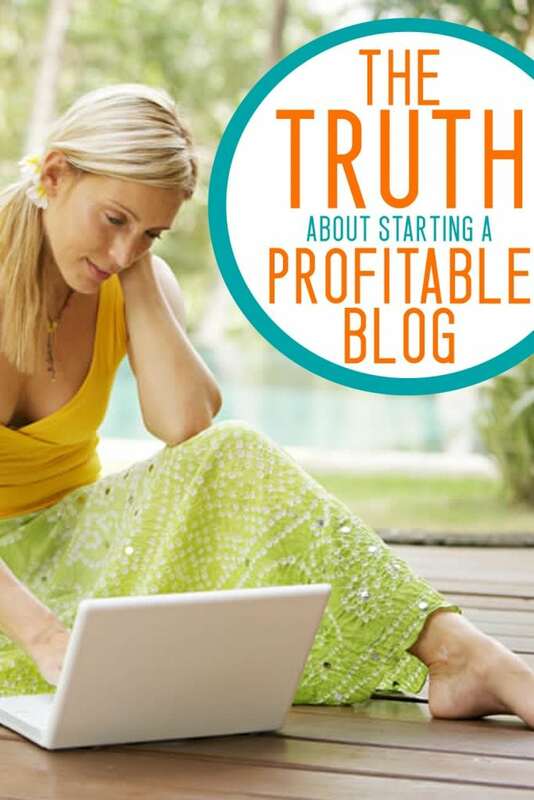 You can not start a profitable blog for zero dollars. 2 – Bloggers are unaware, when they start blogging, how much work it is to start a profitable blog. These unsuccessful bloggers likely started their blogs believing it would be easy. 3 – Bloggers are totally oblivious to what a profitable blog is – they don’t know what to do to make money. A profitable blog is a resource for others, a profitable blog is not an online journal. Well, I’m not. (And neither are you!) If you write 150 posts about how your weekend went or why you love your cat, (even if you’re an excellent writer) you will probably never make ANY money. You need to present something useful, something inspirational, something that can change or encourage. You need to offer answers to questions + problems. You need to make your blog about the reader. Period. How SOON can I make money blogging? How long does it REALLY take? Honestly? This will depend on you. It will depend on how much time you can give your blog, and how much effort you are willing/able to put in. It will depend on how well you can take criticism, how much you can afford to spend on courses, how much of a self-starter you are. I made my first cents (yes, you will start with cents. It will be thrilling) 4 months after I started this blog. (That includes one month were I did almost nothing.) I believe, if you do it right, you may start to see a profit as soon as 4-5 months in. It will not be much. But it will grow. You will probably not make a full time income for a while. This is not a get rich quick thing. It took me 9 months of hard work to replace my part time day-job income. I might joke about working from home in my Pjs – but in reality, I put on real pants everyday. But, I’m a stay at home mom – and I do 90% of my work at my kitchen table. Because it’s real work, and not some hobby I have that allows me to live in jammies. But don’t miss that… blogging is real work that allows me to stay at home with my baby, making a very decent income, and answering to no boss-man (or lady) but me. 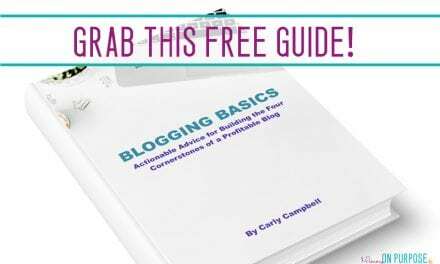 Now you have all the information, and now you are ready to start a blog… and make it profitable. With your eyes wide open. 1 – Work through this free series on How to Start a Blog and Make Money. (Also check out my blogging resources page to see what resources have brought me the furthest in my blogging journey. 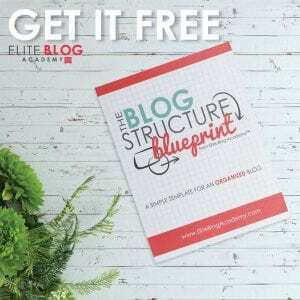 3 – Get on the waiting list for Elite Blog Academy. This is the blog course I took that made the biggest difference for me. It’s an investment for sure, but you can think about it for the next few months, and at least your name will be on the list. LOL yep – it is HARD! I sneak in time where it doesn’t really exist, and sleep is definitely the thing I sacrifice the most. We also sacrifice family time, which is a bummer – but if my husband has 2 days off in a row, I work one of them often. I’m so glad you enjoyed the post! This might be a silly question – but how do you set up your website and all the content without accidentally publishing the website by mistake? I have an existing blog and am setting up a new one. I like how you laid out everything on the table. Blogging can be hard but the rewards make it worth it. Its best to work hard and grow your own business/brand that work hard and grow some one elses. Thanks for this epic post. Love your honesty and down to earth style. I liked your explanation. As i’ve also opened a blog recently so i wanna know about it. Thank you. Take care and keep rocking! Greetings from Argentina. Thank you for the kind words! I am glad it helped. No problem! Good luck with the blog! I wonder… Do most successful blogs have a team of employees assisting them once they reach a certain level of success/profitability over the years or is it possible to maintain a consistent, longterm stream of income by working solo? What are your plans in this regard? Richelle, I may not be the best example of this because I have only recently hired help. I think once you reach a certain level you NEED to hire help or else the business will consume your life, and you can’t do everything. I don’t have any interest in having an empire, so the little help I’ve hired may be enough. Hey Carly, I’ve been using your guide to setup my blog (super helpful) but am curious to know if you have any resources/courses that you could suggest while I wait the 330 days till EBA opens up again. Thanks!